You’ve felt for some time that you have a story in you. It could be a novel that’s been shuffling around in your mind for years. Or you have an incredible life story that you long to share with others. Perhaps you yearn to write for children or parents or youth. You know God is urging you to step out in faith and put the dream to paper. The journey to publication, whether through independent or traditional channels, is an arduous one. Although it’s not for the faint of heart, it’s within your reach. It takes a lot of discipline, hard work, and willingness to learn. So where do you begin? It’s best to write down a few things to help you solidify your goals. These next questions will help you put into words what’s brewing in your heart. Take your time, think them through, and commit them to prayer. 1. What genre are you interested in pursuing (non-fiction, fiction, fantasy, young adult fiction, devotional, children’s books, etc.)? 2. Why did you choose it? 3. Who are your favorite authors, and why? 4. What Scripture(s) best describe your walk with God? 5. Describe your life’s calling in one sentence. 6. What gifts and talents do you think God has placed in you that qualify you to speak to others? 7. If others could describe you in one word, what might that word be? 8. Do you have the support of your family to take on writing? 9. What is your educational background? 10. What do you hope to accomplish through writing? Fill this out and keep it. Pull it out occasionally and see where God has taken you in your journey. Next week, I’ll post the second half: Now What? Pam is a licensed practical nurse, author, and caregiver. Her first book, Song in the Night, recounts her son's fight for life after a spinal cord injury. 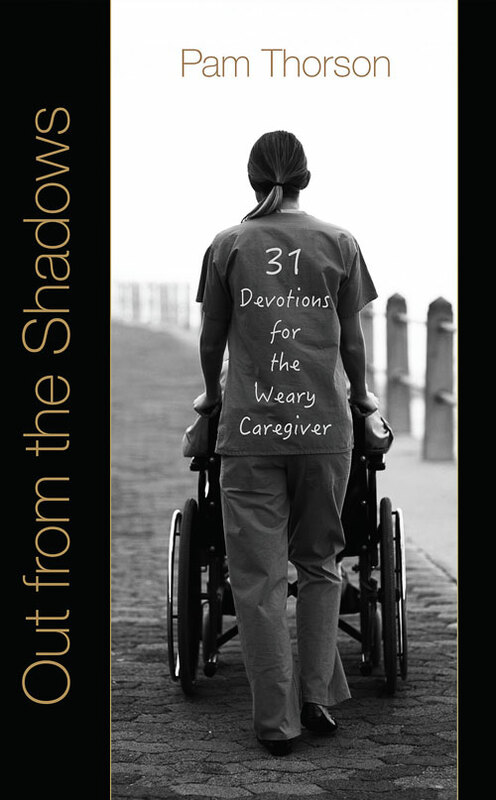 Her second book, Out from the Shadows: 31 Devotions for the Weary Caregiver, offers hope and encouragement to those who care for others.